Week 50 has rolled around and only have two more weeks left. 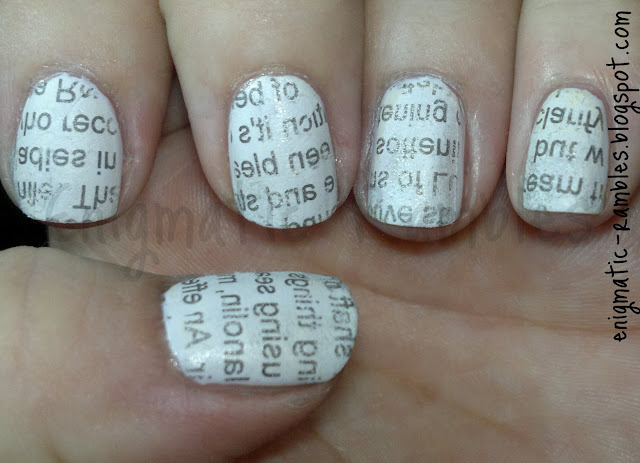 I have done newspaper nails before and have a tutorial for them. This is so easy I don't know why I don't do them more often. Using a matte topcoat looks better I think than a glossy one.